On the banks of the Jordan River: Ferrell Jenkins and I are enjoying an opportunity to explore biblical sites in Israel/Jordan, currently in Jordan. We have seen Pella and Jerash, which were cities of the Decapolis. The past two nights we stayed at Bethany, within easy walking distance of the Jordan. 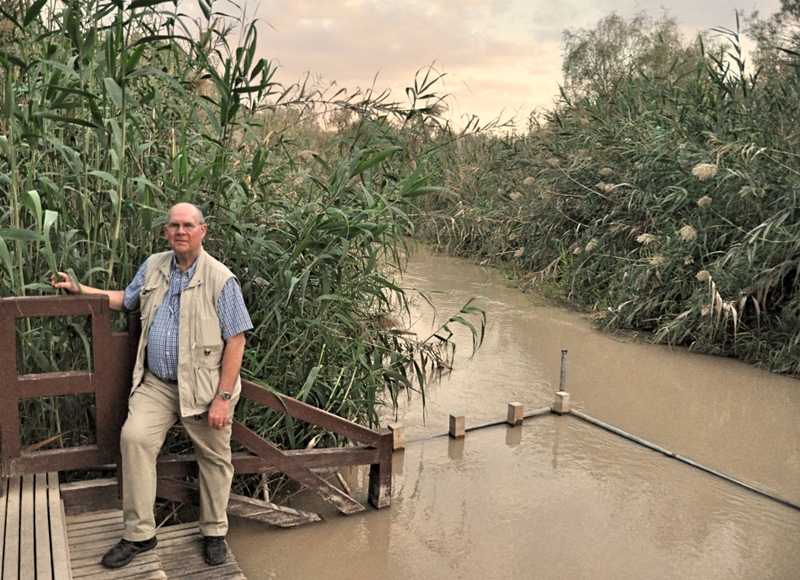 On the banks of the Jordan at Bethany, the traditional location of Jesus’ baptism. Photo by Ferrell Jenkins. Seeing the reeds here along the Jordan reminded me of some biblical references. Jesus asked the people regarding John: “As these men were going away, Jesus began to speak to the crowds about John, “What did you go out into the wilderness to see? A reed shaken by the wind?” (Mt. 11:7). John was certainly no reed shaken by the wind! Today we saw Mt. Nebo, where Moses stood when he looked across to see the Promise Land, then Dibon, where the famous Moabite stone was discovered. We had stunning views of the Arnon gorge, and made our way on the King’s Highway to Petra, arriving after dark. I’ve previously posted on the Jordan River here, here, and here. I’ve not posted until now due to internet issues, but plan to be able now to share more photos. You are currently browsing the archives for the Jordan River category.